Inchcape are pleased to advise of our ability to deliver Underwater Inspections of Vessel and infrastructure in Australia. 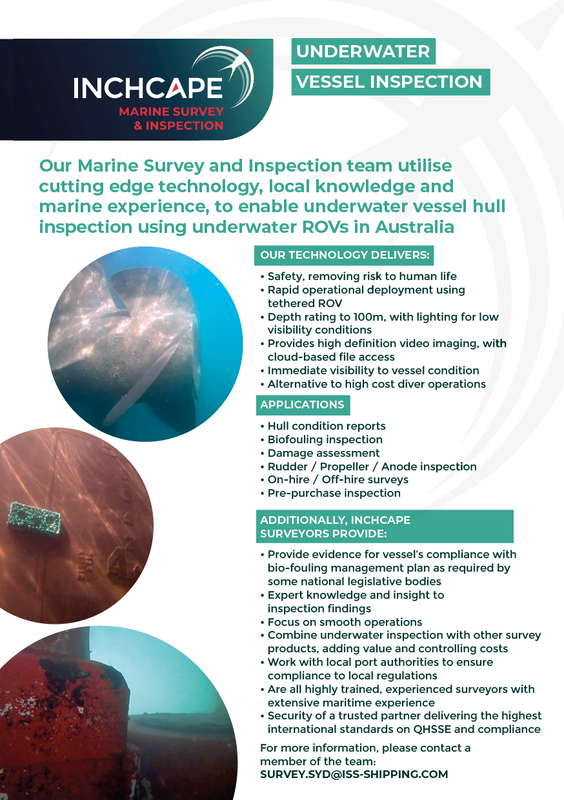 Our Marine Survey and Inspection team utilise cutting edge technology, local knowledge and marine experience, to enable underwater vessel hull inspection using underwater ROV’s anywhere in Australia. With rapid deployment, safe operations and cost effective service, Inchcape Marine Survey and Inspection are able to support the maritime industry with underwater inspection capability providing high definition video footage with cloud based file access.